Storytelling is an important part of our everyday lives. We are always telling stories, whether it is to recall events or create fictitious tales. Through storytelling, children can begin to learn and understand about things they have not themselves experienced. Children love to listen to stories being told but it is important for them to learn to tell stories themselves too. As a Speech and Language Therapist, I have often worked with children to help them learn to create narratives and now, as a home educator, I am teaching my children this skill too. 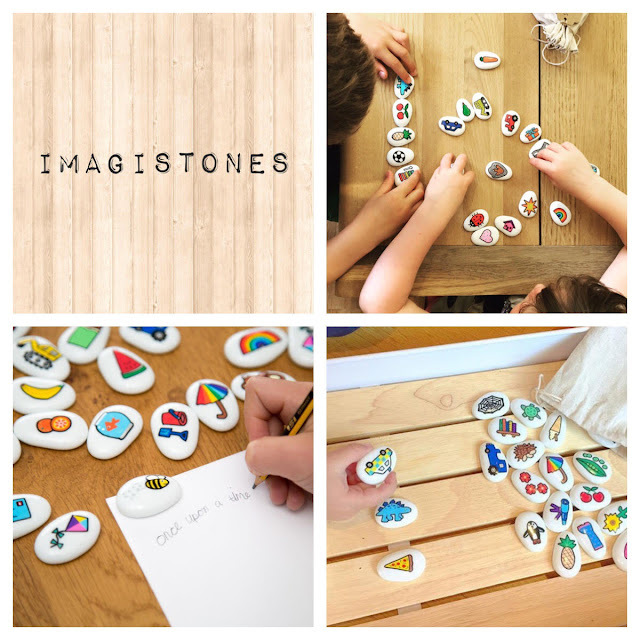 I am always on the look out for new storytelling resources and I was delighted to be sent a set of Imagistones to review. 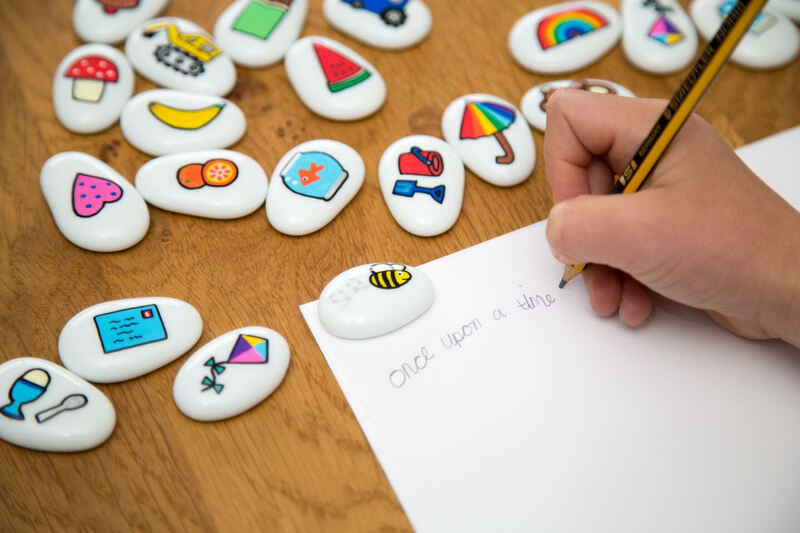 Imagistones are story stones which have been lovingly hand painted at home, in the heart of the midlands. They are a unique and special way of encouraging and developing children's imagination. 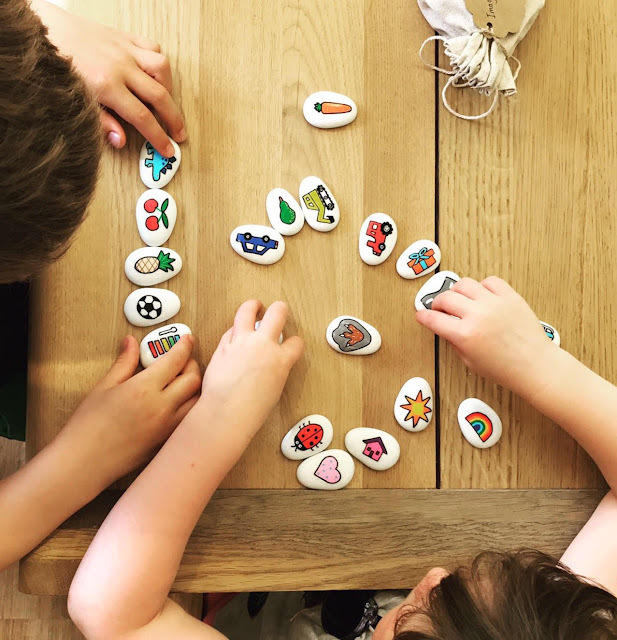 Whether they are being used to learn new vocabulary, for memory games or to create fantastic stories, Imagistones have a place in every home or school. 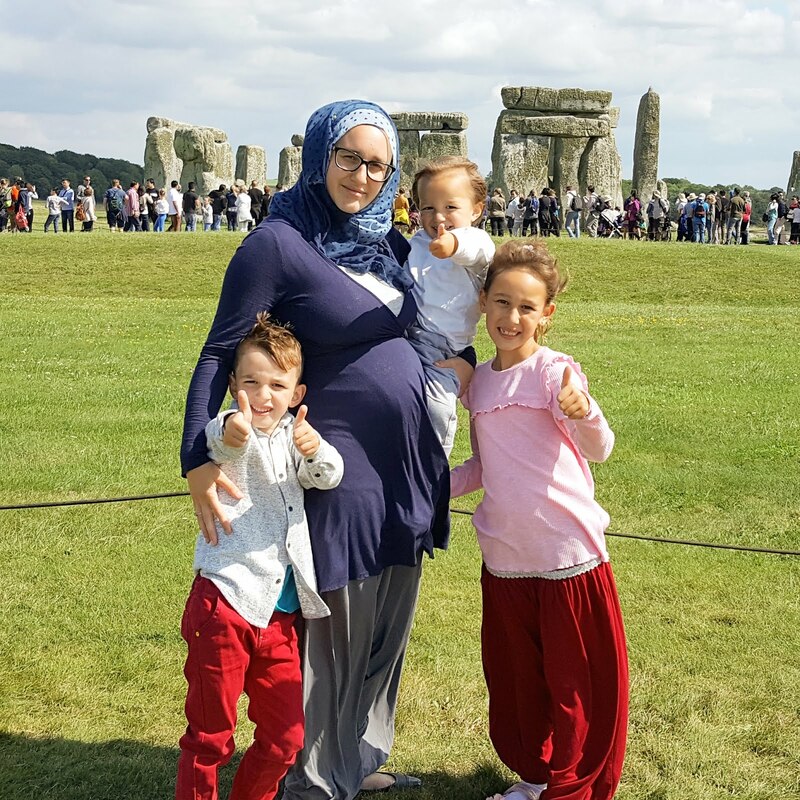 Imagistones is a family run business, set up by two sisters with young children of their own. With a shared passion for education and creativity, they aim to bring imagination alive. After seeing the excitement and magic of storytelling with their own children, Imagistones was born. Imagistones are small, shiny white stones that have painted pictures on them. The pictures are bright and colourful and are sure to spark children's interest. An important point to mention is that all their products are made using non-toxic materials and are CE certified. They come in a handy bag. This is what Imagistones are made for; storytelling. Simply let your child pull the stones out of the bag one by one and narrate a story as they do so. Here is a video of my daughter telling a story with the stones. Why not create a group story? 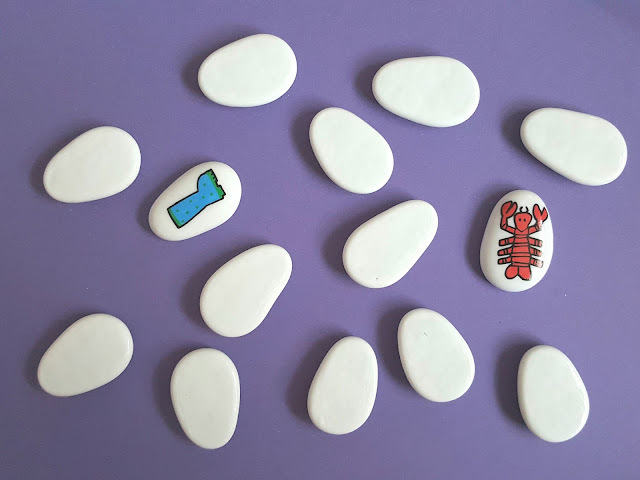 Get a group of children together and ask them to take it in turns to pull a stone out of the bag, adding an extra element to the story with each turn. Alternatively, play this game with your child for a wonderful bonding experience! As well as oral storytelling, Imagistones can also be used for written stories. Again, they can be pulled out of the bag one by one or spread out on the table and used as inspiration for a written story or poem. Either hide the stones around the room and ask your child to find them, naming the picture on each one as they do so. Alternatively, you can hide the stones inside something, such as plastic eggs like these. 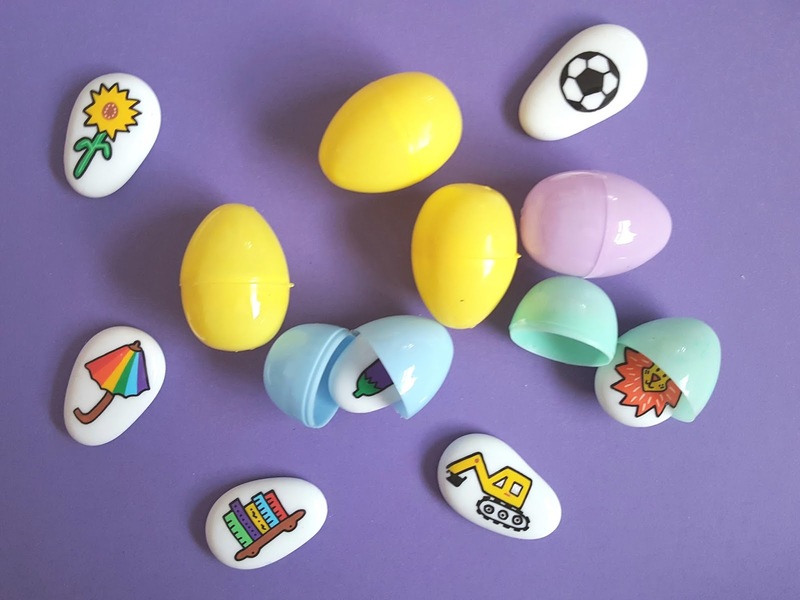 Your child will love to open each egg and discover which Imagistone is inside! If you purchase two lots of the same set, you can use them to play match the pairs games. Turn all the stones over and ask your child to turn two over at a time and see if they can find the pairs. My children love this game! Place the Imagistones face up and let your child take a look at them all. Then cover the stones and take one stone away without showing your child. Next, uncover the stones and ask your child which one they think you have taken away. Granny went shopping is a fun memory game which allows your child to use their memory while practising narration skills. Play a variation of this game with the Imagistones. Each time your child pulls a stone out of the bag they narrate a new part of the story but they also have to recall the story so far. They can use the previous stones as a memory aid to recall what happened in the story. This is a great game to play with your child or as a group. 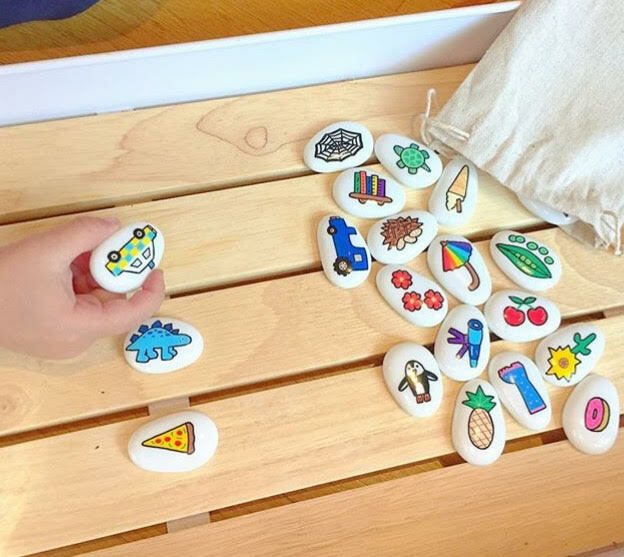 Not only can Imagistones be used for first language acquisition and storytelling, they can also be used for foreign language learning. Therefore, they are a great resource for bilingual families. Here are some ways you can use Imagistones for foreign language learning. Ask your child to pull a stone out of the bag and name the object that appears on it in the target language. Children always love to pull things out of the bag and see what they have picked. This is a fun way to get them naming objects. Another great way to do this is to line the Imagistones up on the floor and get a die and counter. Roll the die and move the counter along the line of Imagistones the number of places shown on the die. The stone the counter lands on is the one the child has to name. Finally, you can play a treasure hunt game. There are various ways you can do this and I have mentioned them above. 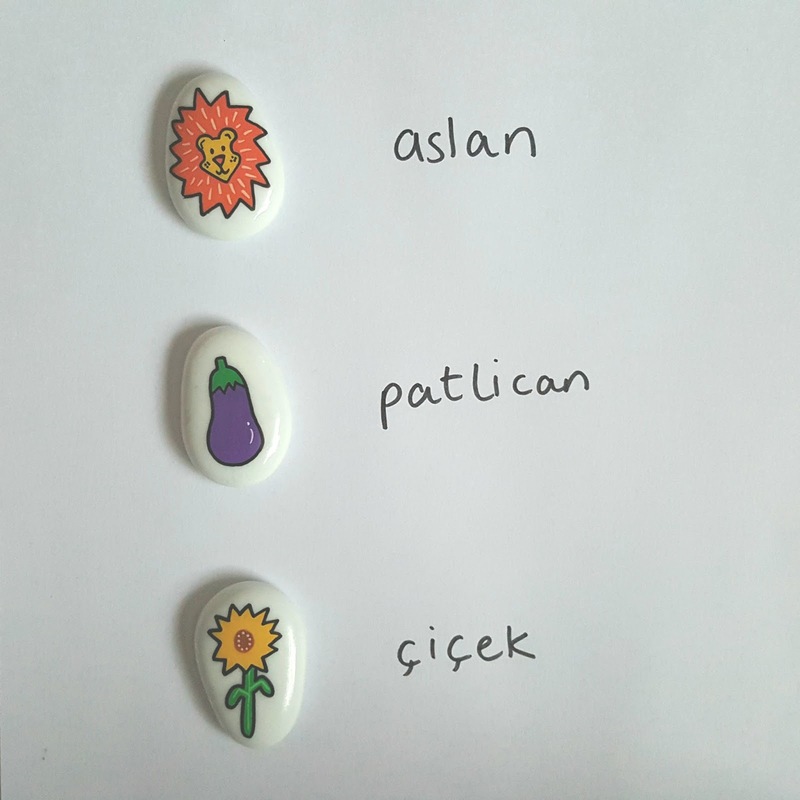 Once your child is able to name objects, you can see if they can put those objects in a sentence. Play any of the games mentioned above, but ask the child to say the word within a sentence rather than on its own. A good way of eliciting sentences is asking your child to describe the pictures. Just as you can use Imagistones for storytelling in your native language, you can also use them to practise storytelling in your target language. This is the final step for when your child is confident in the foreign language. We have thoroughly enjoyed using Imagistones in lots of ways over the last few weeks. They have been used by my 7, 5 and 2 year old and I would say they are perfect for all these ages as well as older children too. My children have been quite heavy handed with them, which I do not think is recommended, and as such there is a slight chip in the paint on one of the stones. However, I am generally very impressed with the look and quality of the stones. As you can see, Imagistones are an amazing and versatile resource that are perfect for the home or school environment. They are also a useful therapy tool. Children will love the beautiful paintings on the stones which will be sure to spark their imagination and turn them into budding storytellers. Imagistones are offering readers a 10% discount on the purchase of their story stones using the code MCMH10. Simply go to their website www.imagistones.co.uk and enter the code at the checkout. Offer valid until November 21st 2017. Disclosure: I was sent a set of Imagistones for the purpose of review. All thoughts and opinions are my own.